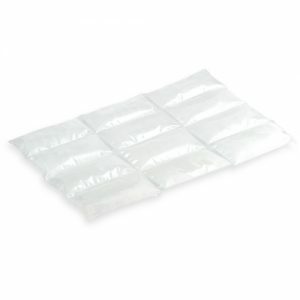 The ice sheets come ready-hydrated and are a cost effective solution to your cooling requirements. The Ice Sheets are hygienic, and totally non-hazardous in use and for carriage purposes. They are made from a food grade film with sterile contents. 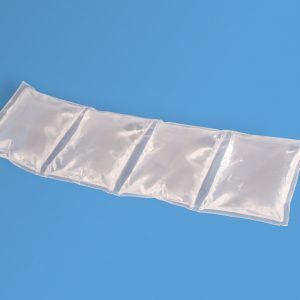 The ice sheets are available in two sizes: 100g: 200 x 75mm, and 500g: 200 x 300mm (2 x 4 configuration); the pocketed design ensures that the ice sheets remain flexible when frozen.